It used to be, “Give us a piña colada and we’ll be happier than a pig in mud,” but lately, hot chocolate is kinda changing our tune. 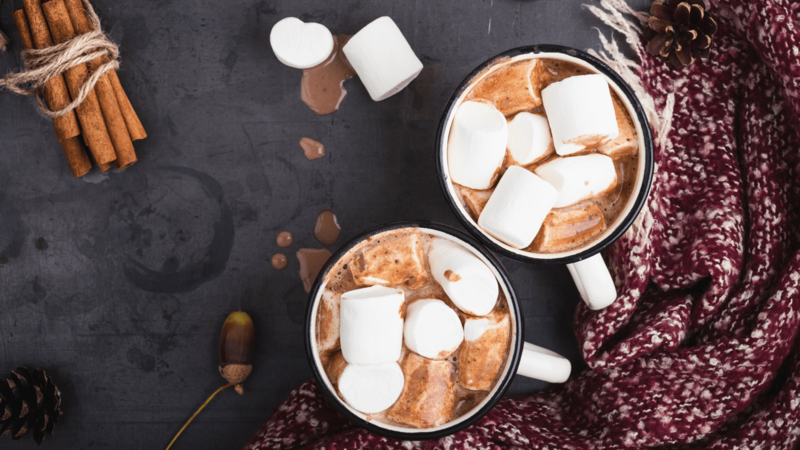 While we formerly considered ourselves creatures of the summer, now we’re all about fall and winter — because all the different variations of hot chocolate are totally altering the way we think about tropical frozen beverages and cold weather. Yup, give us some snow and sleet — as long as you lock us in a room with a fireplace and tons of hot chocolate. And we’re not just talking about that powdered packet stuff. Hot chocolate can get old quickly if you’re not doing it right. Why settle for the mundane milk and chocolate combo when there are so many other yummy ways to go? So you’ve been through these but still need some warm beverage recipes to get you through the winter? Look no further. Here are some more of our coziest cold-weather recipes to fill your mug. It’s pumpkin season! 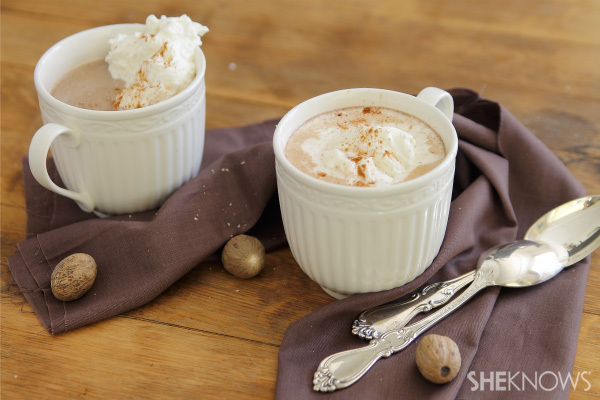 What could be more cozy and timely than a warm cup of pumpkin hot chocolate? Drink up from October to the new year. 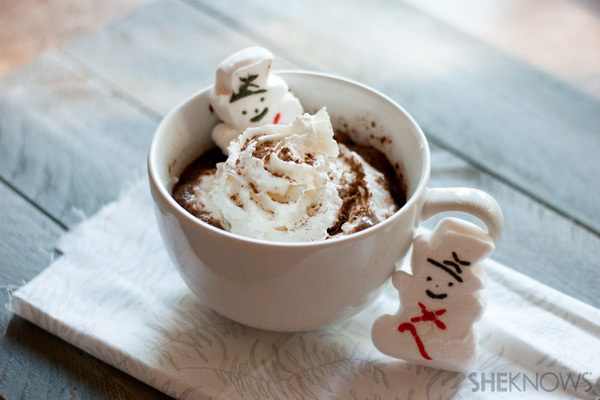 Time to bring a little dessert vibe to your hot chocolate. 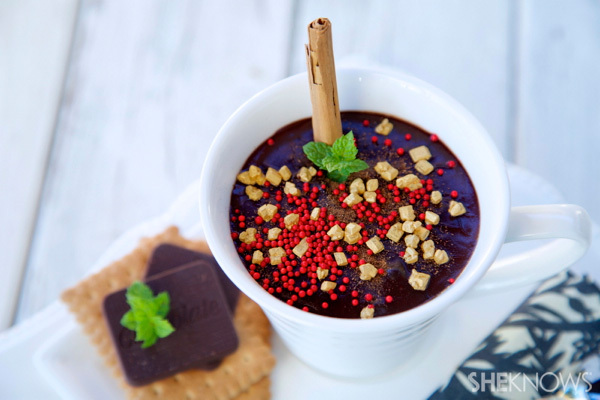 This red velvet hot chocolate does just that. 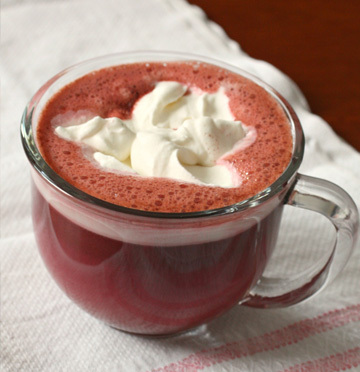 With its pretty color, it’d be the perfect hot drink for the holidays. This winter cup of warmth is for adults only. Hot dark chocolate with cinnamon and cognac is spiked and seasoned — perfect on a cold night in. If you’re not down with dairy, you can still enjoy a mug of hot chocolate. This dairy-free peppermint hot chocolate is made with your favorite non-dairy milk, peppermint tea and, of course, cocoa powder. 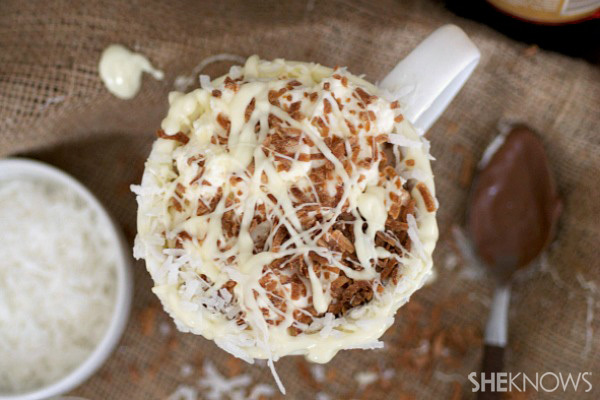 If you like bourbon, you’ll love this bourbon coconut hot chocolate drink. The richness of coconut milk might be enough to make this hot drink a delight, but then add bourbon, heavy cream, chocolate and toasted coconut — yes, please! Take your hot chocolate drinks into the deep freeze. 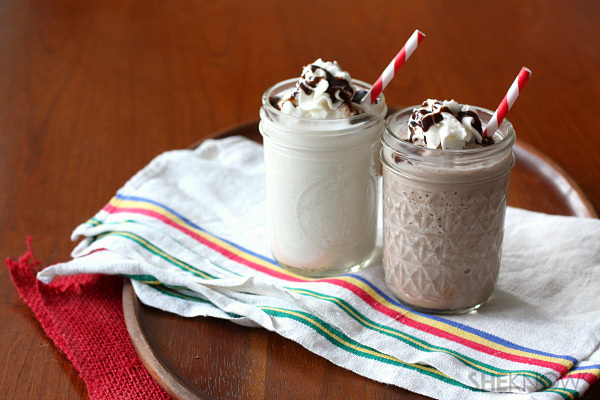 You’ll love these options for frozen hot chocolate, two ways (milk chocolate and white chocolate), that are on the chilly but delicious side. 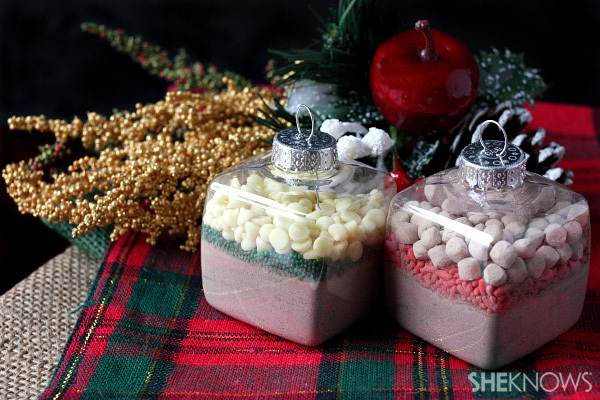 If you’re looking to share the hot cocoa love with someone, try these super-cute hot cocoa mix ornaments. It’s a craft you can drink. Trying to warm up a crowd? 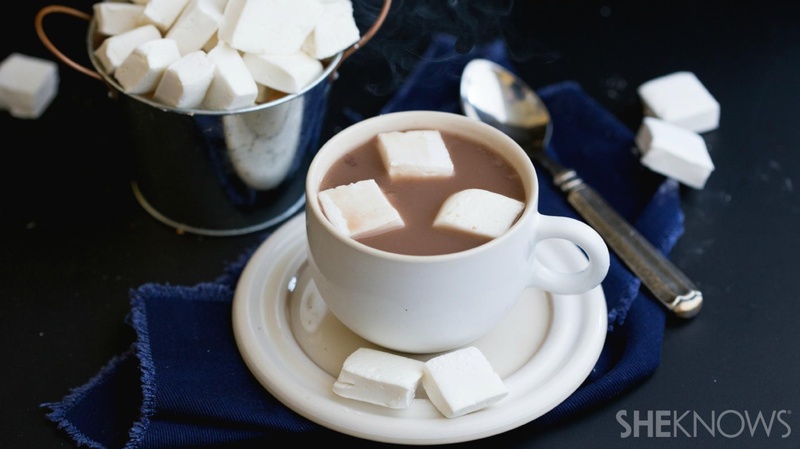 Slow cooker, big-batch hot chocolate is the way to go. This is perfect for a fuss-free treat for the gang.